tidyfavorites - Put your bookmarks in visual order ~ Android Forever! There are social bookmarking services that try to use a visual interface for accessing your favorites, but what if you want to store them on your local machine? Then you're back to the usual list of folders and menus. 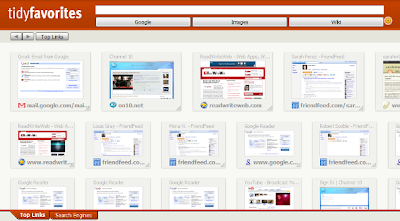 - Use the same list of bookmarks in every browser - IE, Firefox, Opera, etc."